Few would argue that the five fundamentals of golf are: grip, stance, posture, alignment, and ball position. Without proper application of these, consistent ball striking and scoring is virtually impossible. But of these five fundamentals, which is the most important? As your grip is your one and only link to the golf club, we say the most important fundamental to playing to your potential is the grip. What is a good grip? - Keep the club on plane, particularly on the takeaway and the start of the forward swing. 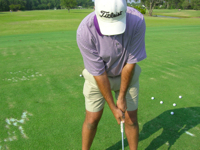 – Properly time the club head to the rest of the body throughout the swing. – Realize the highest probability of squaring the club head to the line of aim as well as to the ball. – Release the club head properly. – Maximize their sense of touch and feel. An improper grip will hinder the wrists’ ability to react in the swing, disallowing the golfer to take full advantage of his or her strength. 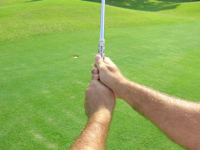 It also forces the golfer to make compensatory movements during the swing in order to square the clubface. Once you start making compensations in your swing-motion, your ability to hit the ball squarely and at the intended target becomes greatly diminished. How do you take a good grip? 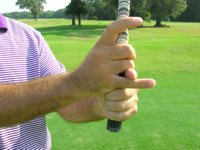 With your fingers underneath the grip of the club, place the club diagonally across your fingers. The shaft passes through the first digit of your index finger and the second digit of your little finger. 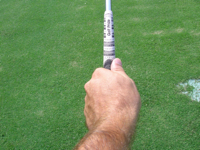 Wrap your hand (palm) on top of the shaft, which places your hand on top of the grip. Your thumb will fall to the right of the center of the shaft. 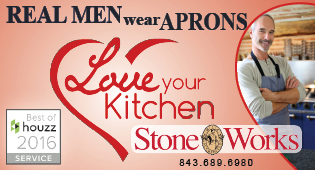 Your right hand follows the lead of your left (assuming you are right handed; vice-a-versa for left handers). Once again, your fingers will be underneath the shaft while the life line of your right hand falls on top of and covers your left thumb. Notice the lines formed by the index finger and thumb; on both hands they point in the general direction of the right shoulder. If these lines point to the chin, or left of the chin, they create a weak grip; pointed between the shoulder and chin a neutral grip; at or to right of the right of the shoulder a strong grip. 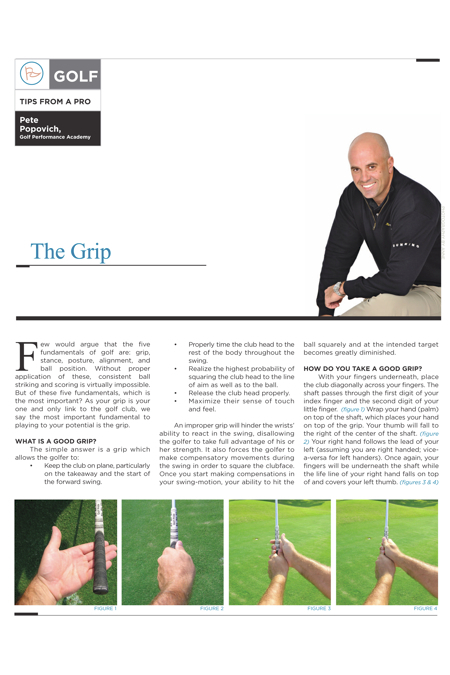 Once you have your hands placed on the club, there are three types of grips you can take. 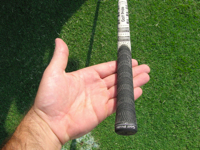 Ten Finger Grip: All ten fingers wrap around the shaft. Typically used by those with very weak hands, elderly and children. 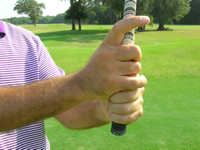 Overlapping or Vardon Grip: The little finger of the right hand is placed on top of the index finger of the left hand—often the preferred grip because it brings the hands closer together allowing them to work as one unit. Interlocking: The little finger of the right hand is crisscrossed with the index finger of the left hand. This places the hands slightly further apart than the overlapping grip and is preferred by those that do not possess the hand strength necessary for the overlapping grip. Which type grip should you employ? Many great players used different types of grips. Jack Nicklaus used a weak grip; Tiger Woods employs a neutral grip. Moe Norman used a 10 finger grip, while Byron Nelson used an overlap grip. Yet they all played great golf. Why? Because their grips fit their swings. For this reason, our teaching philosophy considers the most important aspects of the grip to be 1) The grip must be fit to your natural swing so the flow of that swing is not interrupted, and 2) When gripping the club, your palms face one another; i.e. are parallel. 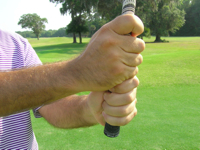 This allows the hands to work in unison during the swing. If your palms face in opposite directions, they will work in opposition to one another during the course of the swing, and because of this, the brain/body relationship gets confused. This confusion disrupts the natural flow of your swing and breeds inconsistency and awkwardness. Allow me to explain: For a right handed golfer, if your left hand is weak (meaning your left hand is turned too much to the left) and your right hand is strong (meaning your right hand is turned excessively to the right), they will want to go in different directions throughout the swing. This confuses your brain/body, and as a result, you have one swing following the left hand and one swing following the right hand. You now have two swings competing for dominance, and neither is consistent. Do you wonder why your ball-striking is also inconsistent? 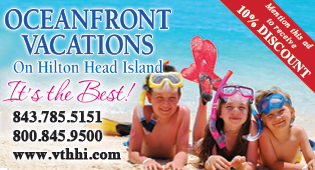 Or perhaps why you are experiencing a hitch in your swing or even physical discomfort? 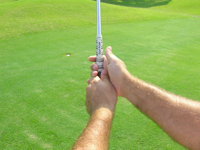 A good golf swing starts with a good grip. To determine if your specific grip is the one that allows your natural swing to occur unimpeded, you need a teacher who understands the causes and cures of this most critical fundamental. 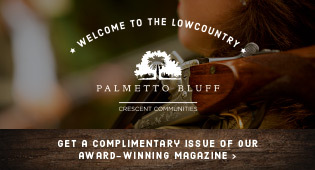 If you are having hand discomfort, making inconsistent contact with the golf ball, or simply want to improve your golf game, contact the Golf Performance Academy-Hilton Head at (843) 338-6737, visit online at golfacademyhiltonhead.com or on Facebook at Golf Performance Academy-Hilton Head.